Authorities said the suspect was last seen running down Washington Avenue in Harrogate. 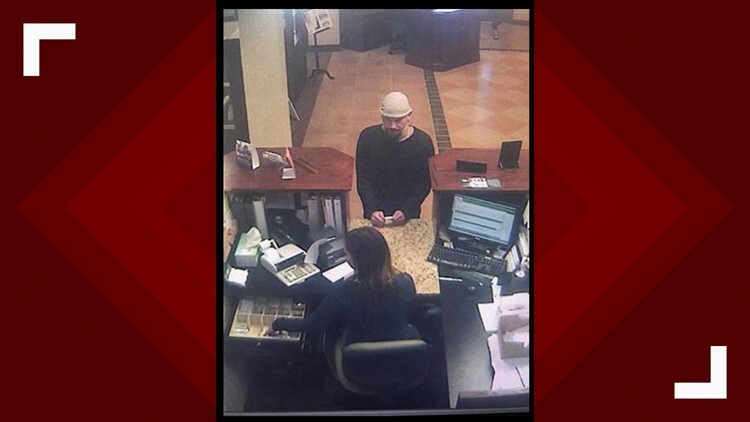 HARROGATE, Tenn. — The Claiborne County Sheriff's Office and FBI Knoxville agents are searching for a man suspected of robbing a bank Friday afternoon. According to the CCSO, the man robbed the Home Federal Bank in Harrogate around 5 p.m. Friday and was last seen running down Washington Avenue. The TBI said no one was hurt in the robbery. Anyone with information about the man or his whereabouts is asked to call Detective Chris Cardwell at (423) 626-2820 or call 911.